Decreed LA’s Hard Rock Artist of the Year in 2006 and staying true to this prestigious title, Nitidus stand apart from their peers by embracing their stadium rock influences to deliver a world class sound backed by an infectiously energetic live show that has audiences enthralled. 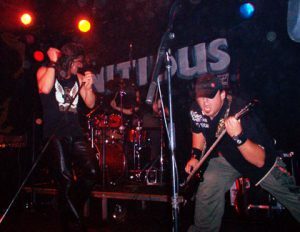 Nitidus began wowing discerning punters as a cover band in Christchurch New Zealand, founded by lead singer Patrick Clemenger, bassist Jeremy Harker and drummer Andy Simmons. Having discovered a love of songwriting, the original trio recorded their debut From The Inside in 2001, which was the catalyst for Clemenger and Simmons to relocate to Australia’s booming independent music scene. Nitidus added new bass player Marki Miklic and took the Melbourne music scene by storm, though their success was marred by a tragedy no-one could ever have predicted: drummer Andy Simmons was killed in a diving accident just after recording their next EP. The EP was eventually released in 2003 under the name A.S. It Is, in honour of their lost brother. Devastated but determined to honour Andy’s memory, a new four-member line up was assembled, including Ash Fyfe on lead guitar and Kristian “Doctor K” Grondman taking up the drumsticks for Simmons. Two years and a number of sold out shows later, Nitidus followed up with their popular Still Here release, another collaboration with renowned producer Adrian Hannan (Taxi Ride, Delta Goodrem, Lee Harding). 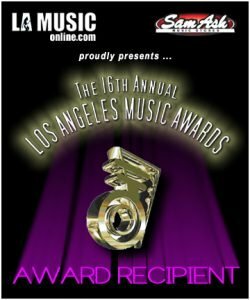 The powerful opening track “Red Morning” earned Nitidus a win at the LA Music Awards for Hard Rock Artist of the Year, which opened the door to a national US tour and the ARIA Music Awards. Nitidus released The Taste in 2007 with new guitarist Adam Kurzel, showcasing a more bluesy, alternative slant that added another dimension to the band’s hard rock sound. 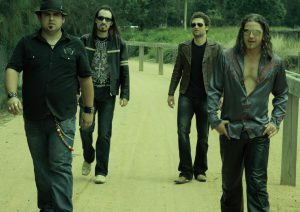 Nitidus performed sold out shows all over the country in 2008, sharing stages along side Airbourne, The Choir Boys and Noiseworks. Later that year, family life drew Clemenger back home to the green pastures of New Zealand, while Nitidus went on to share stages with more Australian rock royalty such as Diesel and the Hoodoo Gurus. Clemenger’s signature vocals proved difficult to replace and so the band slipped into an indefinite hiatus in 2009, giving rise to numerous new bands such as The Romeo Knights, Arabela and Riff Fist.